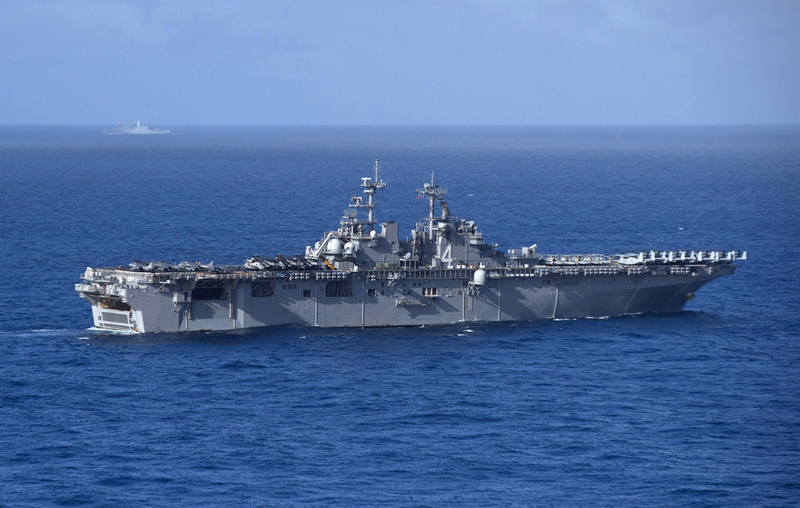 PACIFIC OCEAN - The Boxer Amphibious Ready Group (ARG), 13th Marine Expeditionary Unit (MEU) team began operating in the U.S. 7th Fleet area of operations, Feb. 27. "The BOXER ARG, 13th MEU team has trained hard and is ready to enter the complex 7th Fleet operating area," said Capt. Keith Moore, commodore of Amphibious Squadron 1. "This is a vibrant, diverse and vital region of the world with immense importance to global security. I am looking forward to making new friends as we work with our regional partners to improve cooperation and readiness." While forward deployed to 7th Fleet, the ARG/MEU team will participate in exercise Ssang Yong 2016, work to strengthen ties with allies, deter conflict and conduct operations in support of the Asia-Pacific Maritime Security Strategy. The 7th Fleet AOR spans more than 124 million square kilometers stretching from the International Date Line to the India/Pakistan border and from the Kuril Islands in the North to the Antarctic in the South encompassing 36 maritime countries and half of the world’s population. 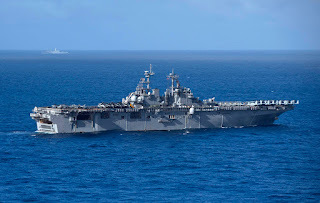 Boxer ARG is comprised of Amphibious Squadron 1, amphibious assault ship USS Boxer (LHD 4), amphibious transport dock USS New Orleans (LPD 18) and amphibious dock landing ship USS Harpers Ferry (LSD 49). The 13th MEU is comprised of a ground combat element, Battalion Landing Team 2nd Battalion, 1st Marine Regiment; an aviation combat element, Marine Medium Tiltrotor Squadron 166 (Reinforced); a logistics combat element, Combat Logistics Battalion 13; and a command element. While deployed, the ARG/MEU team serves as a sea-based, expeditionary crisis response force capable of conducting amphibious missions across the full range of military operations. The mission of the Boxer ARG is to help provide deterrence, promote peace and security, preserve freedom of the seas and provide humanitarian assistance/disaster response as well as support the Navy's maritime strategy when forward deployed. The mission of the 13th MEU is to provide a forward deployed, flexible sea-based Marine Air Ground Task Force capable of conducting amphibious operations, crisis response and limited contingency operations, including enabling the introduction of follow on forces and designated special operations in order to support the theater requirements of geographic combatant commanders. The US Navy Amphibious assault ship USS Boxer (LHD 4) transits the Pacific Ocean.